It was only announced this week, but the time has come to get your (Product)Red iPhone 7 and iPhone 7 Plus orders in after Apple begun taking sales this morning. Apple promised that orders would start today and those looking to get their hands on a brand new, bright red iPhone can get their orders in via the Apple website and its iOS apps. 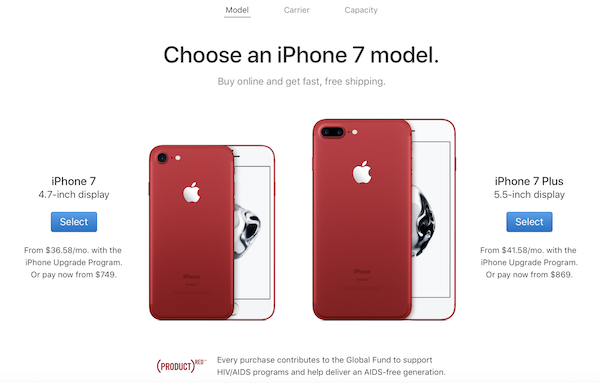 Apple announced the new (Product)Red iPhones by updating its website this week, and while no media event was scheduled for the announcement, there has still been plenty of hype surrounding the new release. Rumors of a red iPhone have been abound for some time now, and given Apple’s existing association with the (Product)Red world, it makes plenty of sense that the thread would flow through to the iPhone. So what’s the deal with these orders? 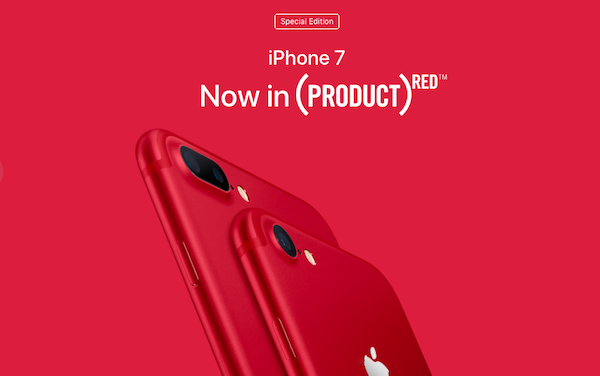 Well, orders are now available but the iPhone 7 and iPhone 7 Plus in (Product)Red guise will not actually be delivered until beginning of next week, though pickup today option is available too for some select stores. It’s unknown how many iPhones Apple has to sell at launch, or whether any will be available in meaningful numbers in-store, so if you do want one we suggest you get an online order in now rather than waiting any longer than you absolutely have to. Available in both iPhone 7 and iPhone 7 Plus size options in 128GB and 256GB variants and costs the same as other iPhone 7/7 Plus colors, the new (Product)Red iPhones look absolutely stunning, at least from the back, and while we have misgivings about the use of a white front panel on these iPhones, we are sure that will not stop them from being a popular color. Besides the aforementioned (Product)Red iPhone 7 and iPhone 7 Plus, also on sale today is 9.7-inch iPad and new storage options for iPhone SE. Head over to store.apple.com to get your order in! Ignorant comment. Get some help. another loser added to my block list. if it had the black front, I’d buy! Nice looking device. Look at this c*nt whose parents named “Kody” and spell it with a “K” probably.